I am currently working on finishing the pencils for chapter 4, which I can hopefully wrap up by the end of the week, and therefore continue to publish the chapter without interruption. Things been busy! 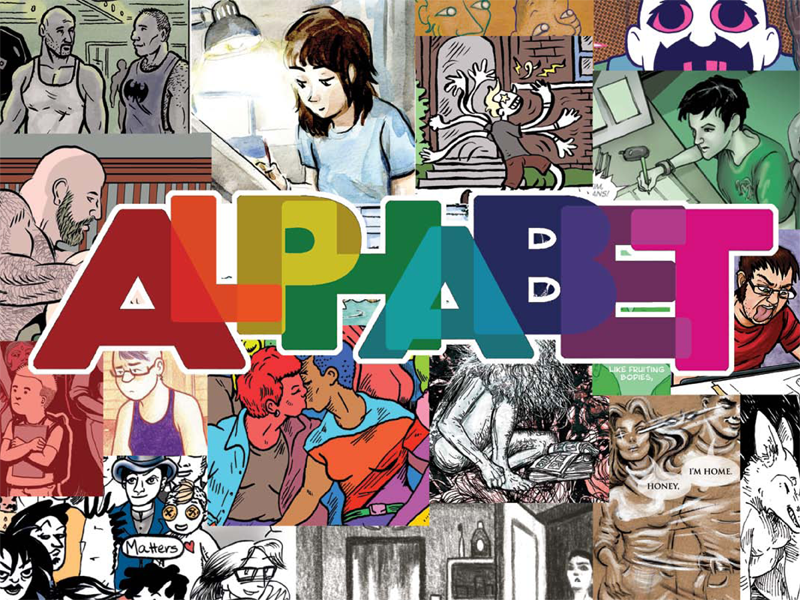 ALPHABET, the lgbtqai comics anthology, is now up on Kickstarter. I have a new exclusive comic in this book, alongside many other amazing creators. The list includes Ahri Almeida, Elizabeth Beier, Christianne Benedict, Bex, Jennifer Camper, Vi Cao, Tyler Cohen, Howard Cruse, Dave Davenport, Tana Ford, Melanie Gillman, Diego Gomez, Soizick Jaffre, Emeric Kennard, Robert Kirby, Hanna-Pirita Lehkonen, Ed Luce, Steve MacIsaac, Hazel Newlevant, Hanna Oliver, Eric Orner, David Quantic, Carlo Quispe, Sonya Saturday, Mike Sullivan, Dax Tran-Caffee, Josh Trujillo, Kelsey Wroten, and many more! I mean, dang. IN ADDITION to all that comics goodness, there’s also a coloring book, yes a COLORING BOOK offered as an incentive. 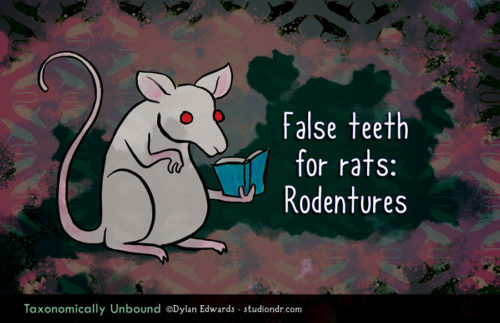 The book features a number of different artists illustrating their queer heroes, and I chose to draw Edward Gorey. I have to say, I had way too much fun doing that drawing, which means YOU will have way too much fun coloring it. So. Get on there and grab yerself some queer comics! Just a wee little reminder that the cultures of the Valley have no specific concept of gender, so everyone’s nonbinary by default, hence the “xe/xer” pronouns. More VoSS news! The Beyond Anthology Kickstarter is drawing nigh! In just under two weeks you will be able to throw your dollars at this fine tome of queer science fiction and fantasy comics. More details here. As you may recall, I have a 16-page VoSS story, exclusive to the anthology, featured in Beyond. So prepare yourselves for March 16, yeah? 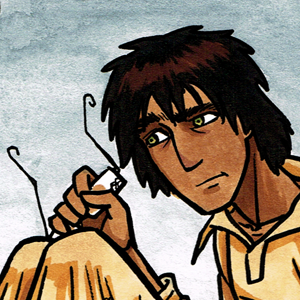 Final bit of VoSS news: I finished the art for chapter two, which means a couple things: first of all, that gives me 12 weeks of material in the queue (10 pages of comics and two rounds of info posts between chapters). This ALSO means I will almost certainly have the chapter 1 & 2 mini available at ECCC. Still working on the cover art, and I have to lay everything out and all that jazz, but the hard part is mostly done. So. VoSS MINI IMMINENT. 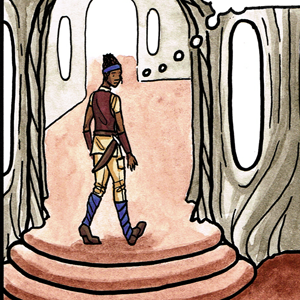 Page 9 of Politically InQueerect: Old Ghosts is up! 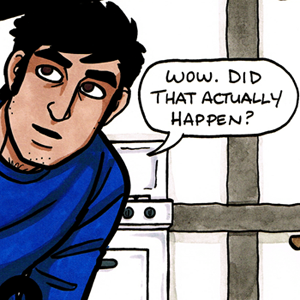 Read it here on Tapastic, or here on Studio NDR. One gets the impression Archer does indeed think it’s a pity that public hangings aren’t an option right at this moment. Need to get caught up? The archive of pages posted to date is here. Though I don’t know why the thumbnails are all wonky. Sigh. What else is going on that I can tell you about? Oh, yeah, the Kickstarter for Jon Macy’s Fearful Hunter! This is so close to funded, and a mere week left to go! Throw in some $$ if you’d like to see some queer druid/werewolf lovin’. You would, right? That’s what I thought. If you look over to your right, you may notice an ad* for Rocksalt Magazine, the Austin-based indie comics paper that is distributed for FREE all around town. They publish a number of different Texas (and Texas-adjacent) artists, myself included, and they’re running a Kickstarter to help fund their next issue. 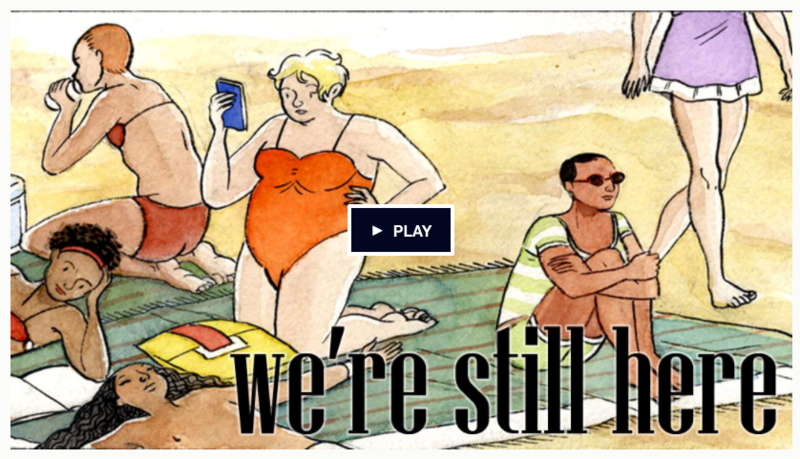 They are, as of this writing, a mere $30 away from meeting their goal. If you have a couple of dollars to spare, please send it their way. I will have a BRAND NEW cartoon in this issue, so please help make it happen! * Unless someone else’s Project Wonderful ad is in the rotation. Or, I guess, if you’re reading this via RSS feed.